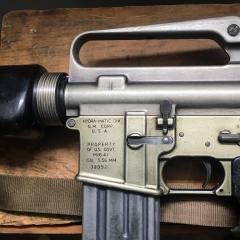 For your consideration, I have one NOS in grease wrap M1A1 Thompson SMG bolt. Savage mfg, still sealed in cosmoline. Perfect to keep your SMG running or to tuck away for a rainy day. $215 shipped to US First unconditional "I'll take it" posted in this thread gets it Prompt Paypal gft or + fees for payment No trades CROSSPOSTED Thank you for looking! !